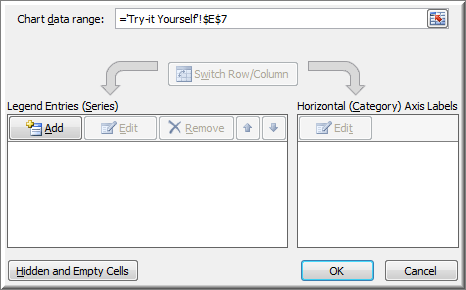 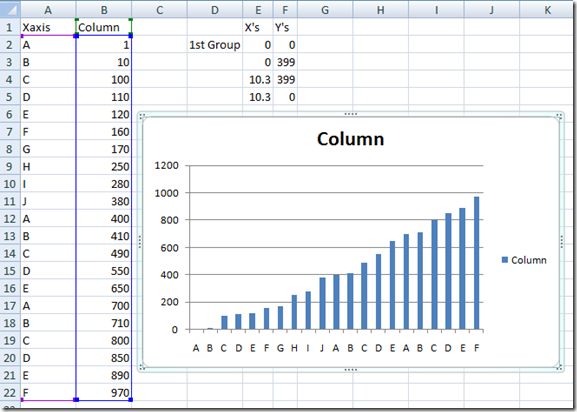 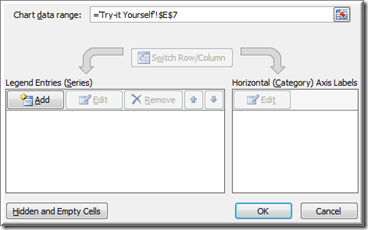 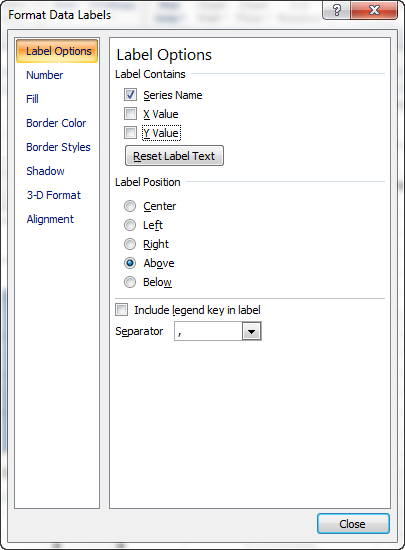 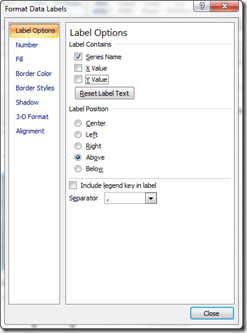 Yesterday a user in the MrExcel.com Forums asked how he could make a Column Chart in Excel and then Group those Columns with a Line and Label the Line. 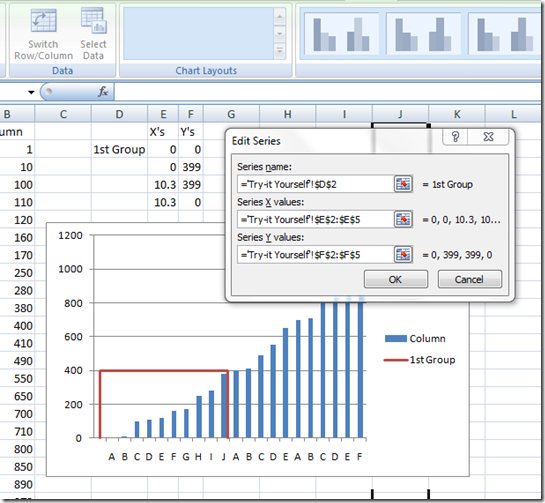 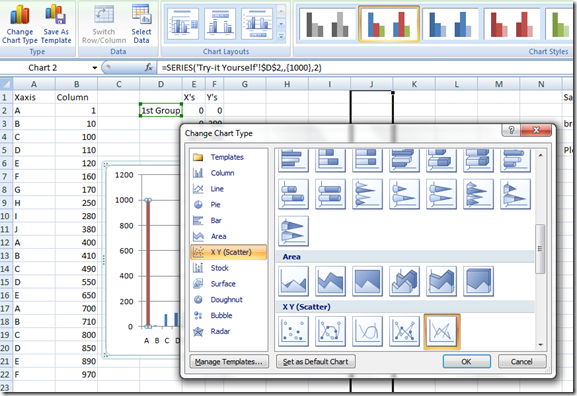 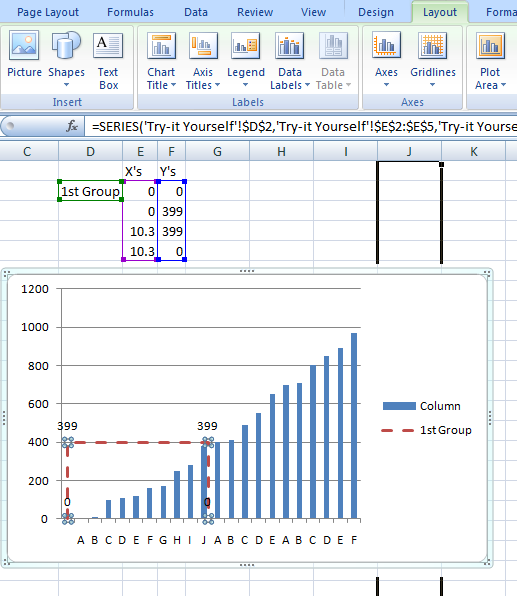 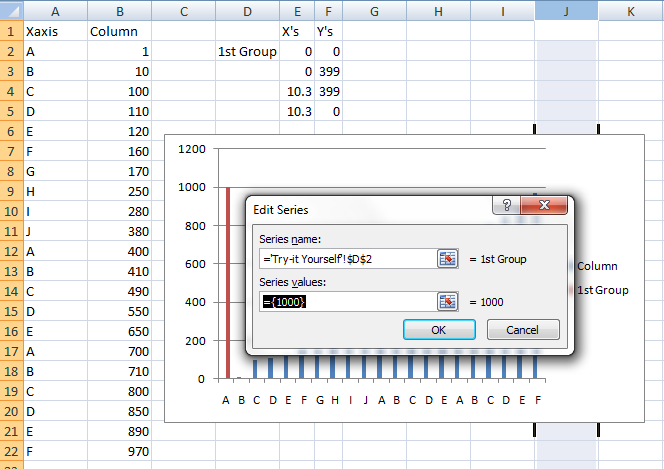 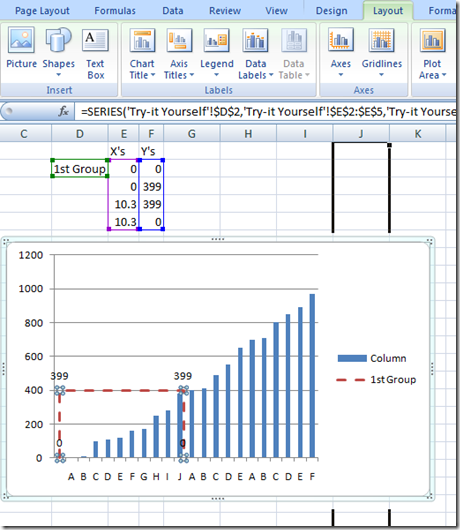 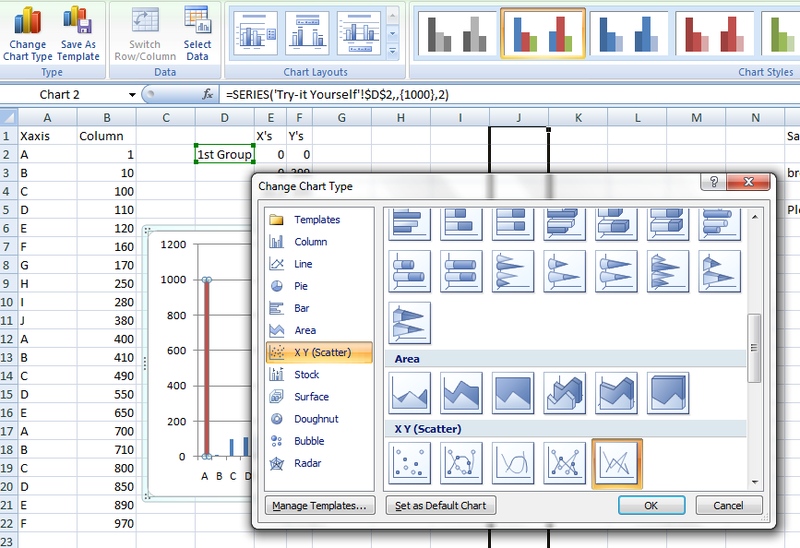 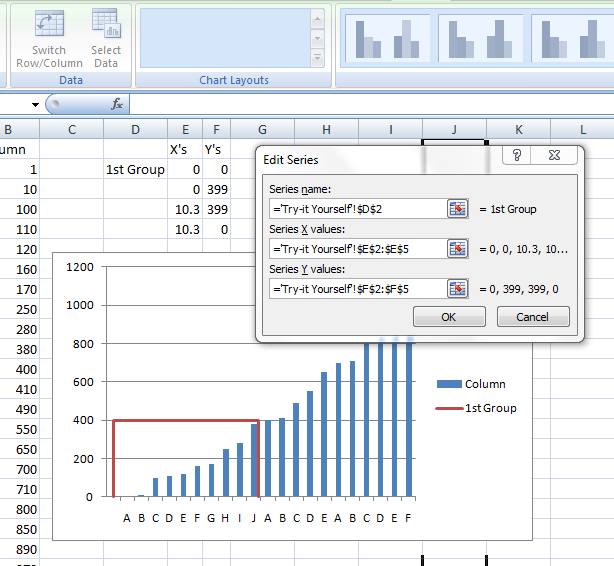 This type of chart in Excel is very useful in an Executive Excel Dashboard. 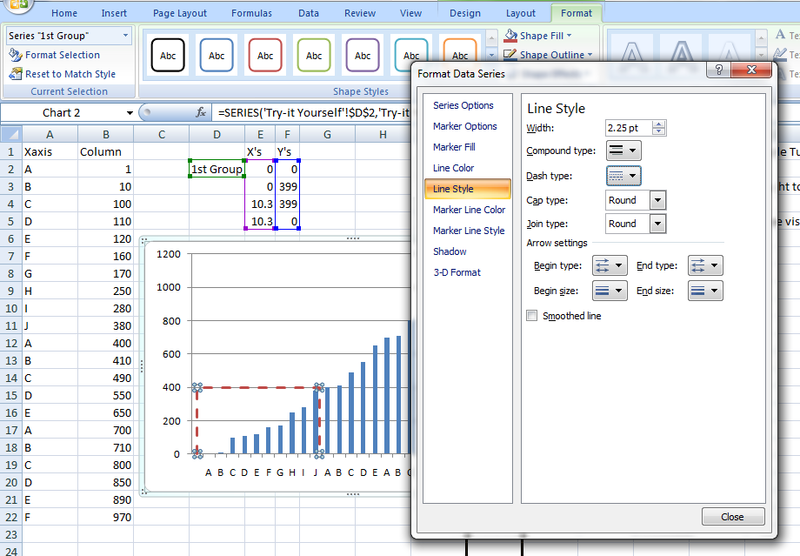 Perhaps you want to highlight seasonality in your chart, or point out a particular time in the data. 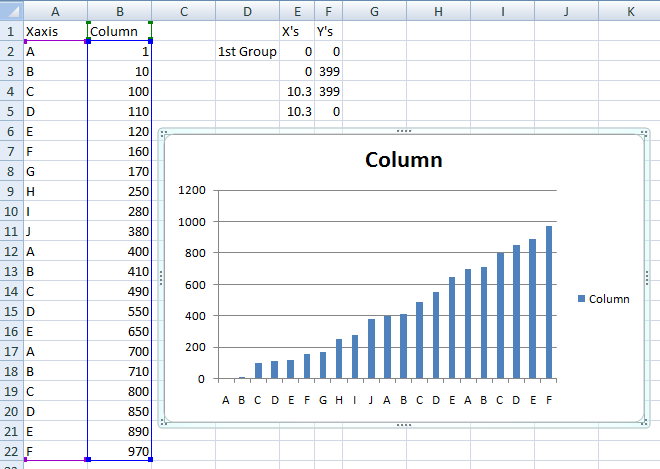 It has many uses in a Company Dashboard and we should figure out how to make this Excel Graph. 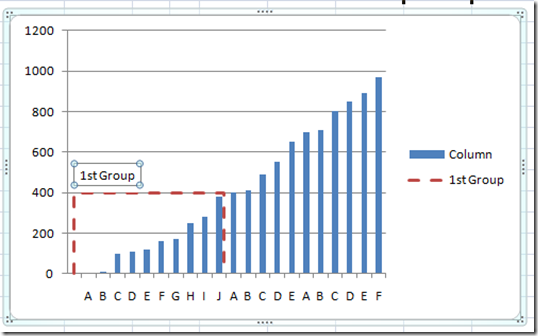 The easiest way to make this chart would be to create a 2D Column Chart with the data and then make it a combination chart by adding an XY Scatter Chart with Lines to draw the groupings. 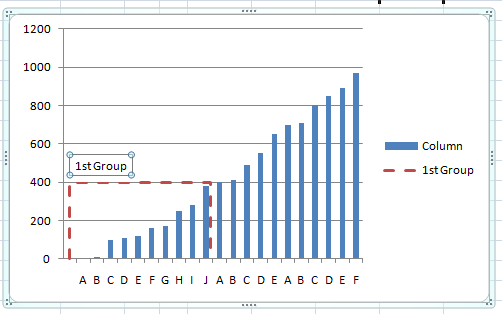 11) Sit back and Smile with a Dashboard Job well done! 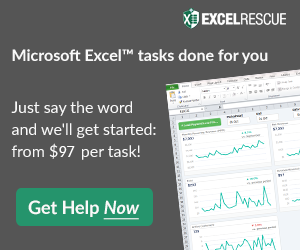 Please remember to sign up for my newsletter subscription and Leave me a Comment on what you think of this Video and Excel Dashboard Tutorial.